CAVIAR DIP. Teamed with crostinis, this unassuming dip composed of freshly whipped extra creamy crème fraiche is topped with a dollop of osetra to add just the right amount of saltiness to the slightly tangy, nutty, and rich velvety base. DEVILED EGGS WITH CAVIAR. 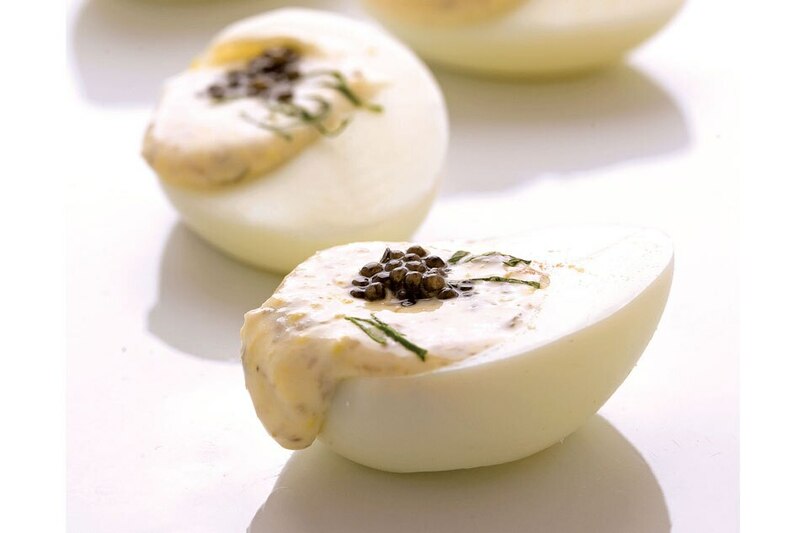 Pickled eggs, an old-fashioned picnic favorite, get dressed to the nines with the addition of finely chopped shallots, capers, and caviar. An elegant way to add a special occasion touch to an old standby. 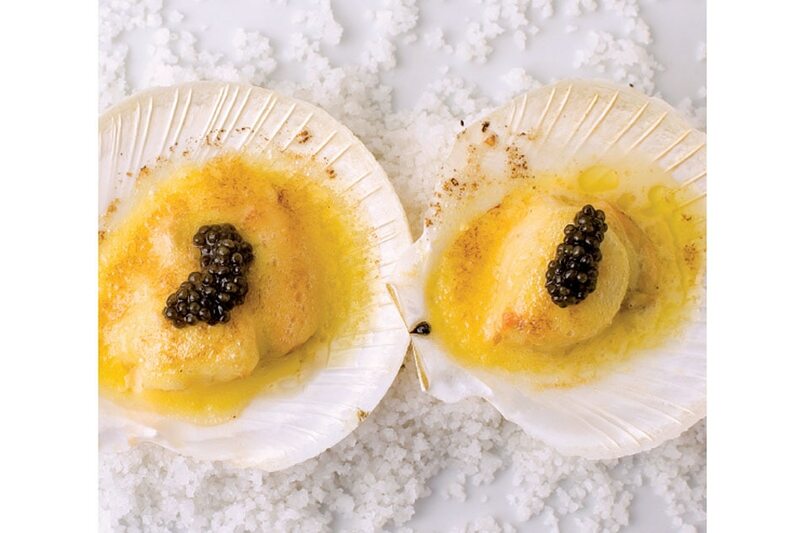 BAKED SCALLOPS with CAVIAR. A hint of lemon adds just the right amount of acidity to this baked scallop dish prepared French style with butter before it's broiled to perfection, then finished with just a touch of osetra. PIZZA WITH HOUSE-CURED SALMON AND CAVIAR. 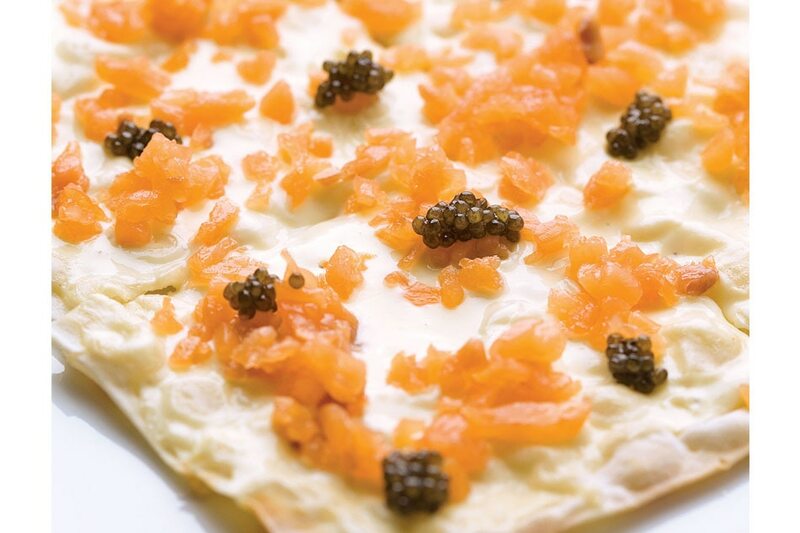 Thin crust pizza topped with a light base of crème fraiche, premium house-cured salmon, and garnished with just the right amount of caviar will make this a party favorite. 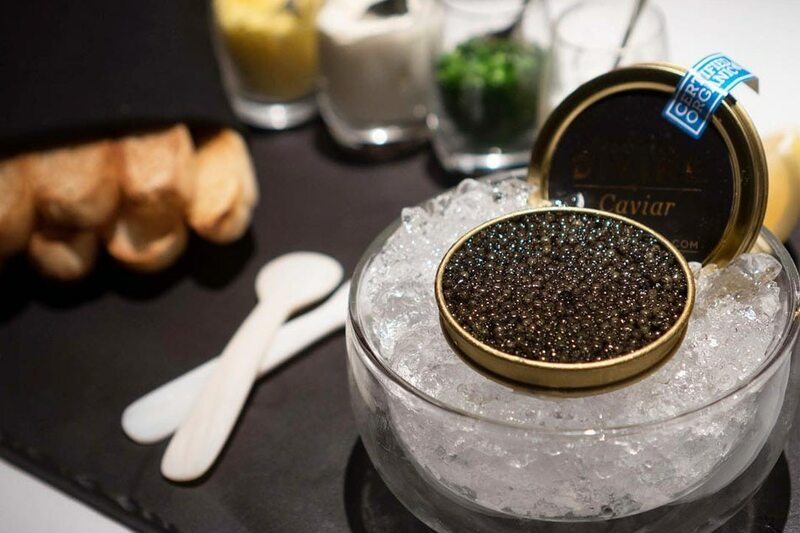 • Read the label for information on how to handle the caviar you purchased. 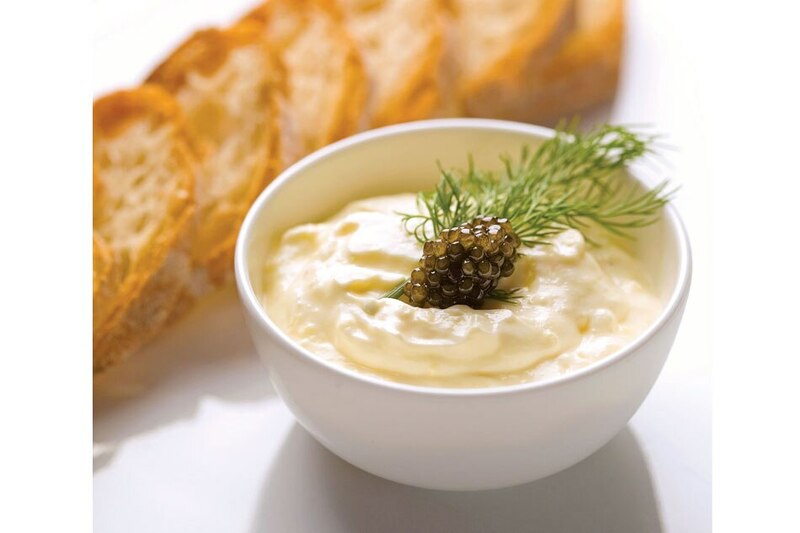 • Serve caviar very cold, preferably in a bowl that has been set in another container of ice. • Store your caviar in the coldest area of your refrigerator (26 to 32 degrees Fahrenheit). • Use a non-metallic spoon to prevent off coloring. • Never cook the caviar, nor serve it with items that will overpower it.